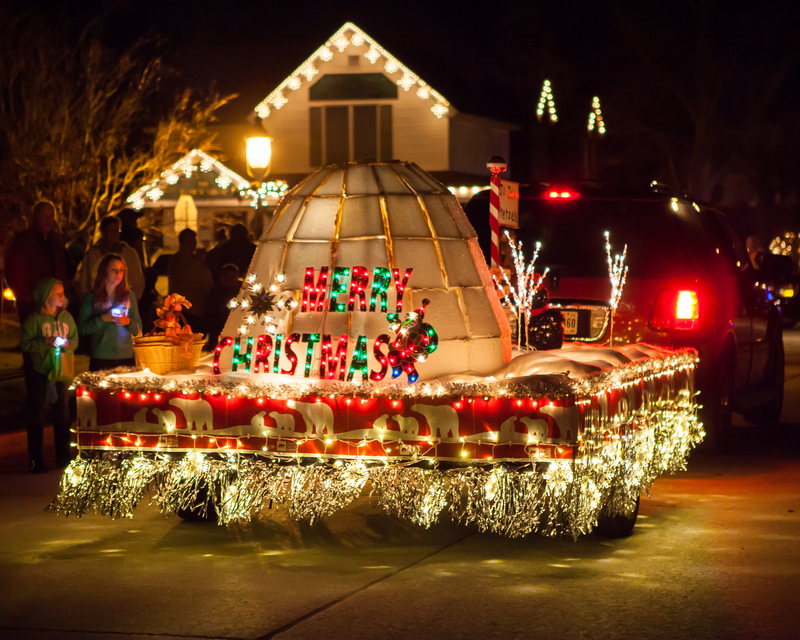 The Lighting of Shipshewana is a spectacular, one-of-a-kind event when the entire community gathers to officially bring in the Christmas season in Shipshewana. Last year, over 8000 guests lined the streets to witness this huge event. The spectacular floats, carolers, wagons and horses march that march through town will delight and surpise the whole family. Opening Christmas Music starts at 4:00 pm. 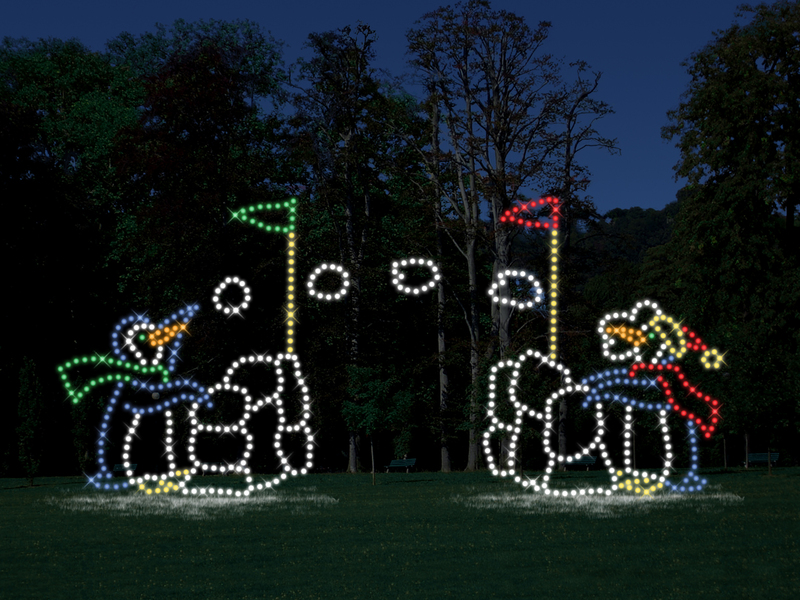 The light parade begins at 6:00 pm. The parade will begin at the Shipshewana Flea Market grounds and wander through downtown Shipshewana to end in front of the Blue Gate Restaurant. Along with the traditional tree lighting, there will be Christmas Carols, Santa visits and refreshments throughout town. See the detailed schedule. 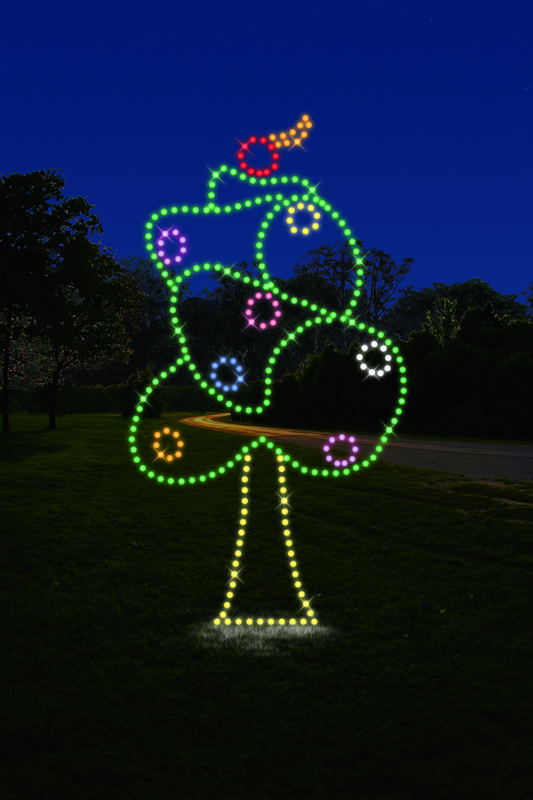 Over two million Christmas LED lights in free-standing holiday light displays will delight you and your family in this new addition to the Shipshewana Christmas season. This drive-through light park is at the Shipshewana RV Park (enter at the flea market) and is open Thursday through Sunday. Get tickets and info online at ShipshewanaLightsofJoy.com. 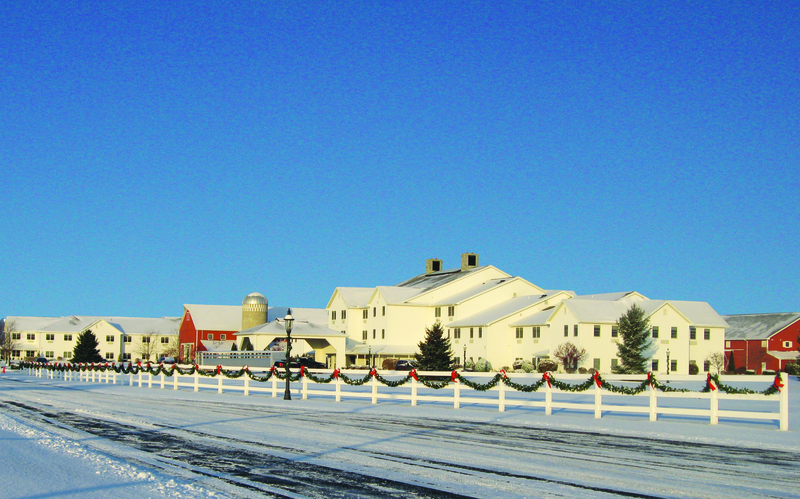 Scavenger hunt for free gifts and exclusive "Amish Holiday Package" discounts from local stores and restaurants! (Including dutch country noodles from E&S, Popcorn from Yoder Popcorn, Chocolate Covered Pretzels from Victorian Candy Company, and MORE! What could be more magical than chocolate? I mean, it's CHOCOLATE. 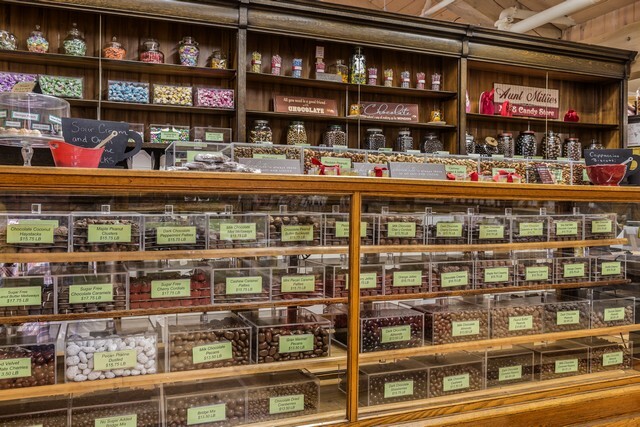 On November 17, purchase your one of a kind chocolate box at Aunt Millie's Candy & Nuts inside the Davis Mercantile. Then stroll through town collecting chocolate confections to fill your box - it's all inclusive! For details, you can call 260-768-7728. You probably know that Shipshewana is a town full of tradition, where stores typically close by 6 p.m. But on Wana Night Out, local merchants are open late offering some fantastic savings! It's the perfect day to shop for Christmas. Most stores in Shipshewana will stay open until 8 p.m. on this special evening of shopping, but individual hours may vary. Check shipshewana.com for advertisements. The Shipshewana Across the Raod Indoor Market is a unique holiday shopping experience! Shoppers can expect to see 50-60 vendors in a smaller-scale indoor version of the famous outdoor Shipshewana Flea Market with unique gift items, a selection of local crafts, and a variety of other goods. The indoor market is open to the public on Fridays and Saturdays through December 15, 2018, 9 am - 4 pm. Admission and parking are free. Located at the Farmstead Expo Barn. Special indoor market events include "Cookies and Canvas" on November 24 and a new "Winter Wonderland Walk-through" held on the second floor of the market in November and December. Kids travel to locations throughout Shipshewana for a day of fun activities and surprises from 10 a.m. to 3 p.m.
Santa arrives at the Farmstead Expo Barn, visiting with children from noon to 3 pm inside the Indoor Market's Winter Wonderland Walkthrough. Children receive goody bags too! There will also be free children's fingerprinting and photo I.D.s done by the Shipshewana Police Department at the Expo Barn. Make plans to attend the Shipshewana Auction & Flea Market's Ship-Chic Craft & Vintage Show Holiday Bazaar, a craft and vintage-inspired pop-up market where 100 spaces are filled with vendors. Shop holiday gifts, antiques, salvage, artisan goods, handmade crafts, furniture, home decor, clothing, jewelry, baked goods and more. It's held from 9 a.m. to 3 p.m. inside the Miscellaneous & Antique Auction Building. Admission is $5.00 at the door before noon, and $3.00 at the door from noon to 3pm. Can anyone say winter wonderland? On December 27, ice carvers will be drilling and shaving blocks of ice all over Shipshewana at participating businesses. The creations they design are submitted by the sponsor or are the carver's choice. These professional carvers enjoy the challenge of creating! 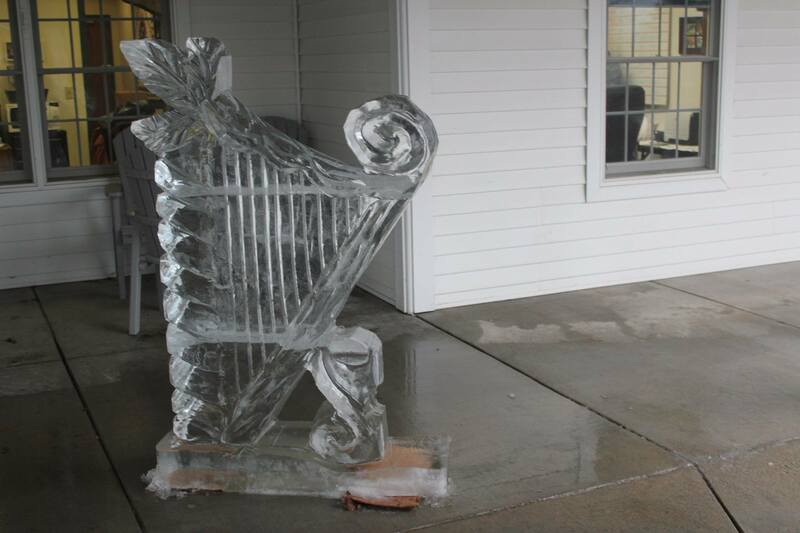 Then, on December 28, the ice carvers compete with their own designs for cash awards in the Wolfe Building parking lot (345 Morton St.) While you're there, stop inside the Wolfe Building for the 8th annual Chili Cook-off! Detailed Ice Festival Schedule. Love Shipshewana events? Sign up to receive monthly email newsletters from Shipshewana Trading Place Auction & Flea Market for current happenings.